A polyomino is a figure made of equal squares joined edge to edge. 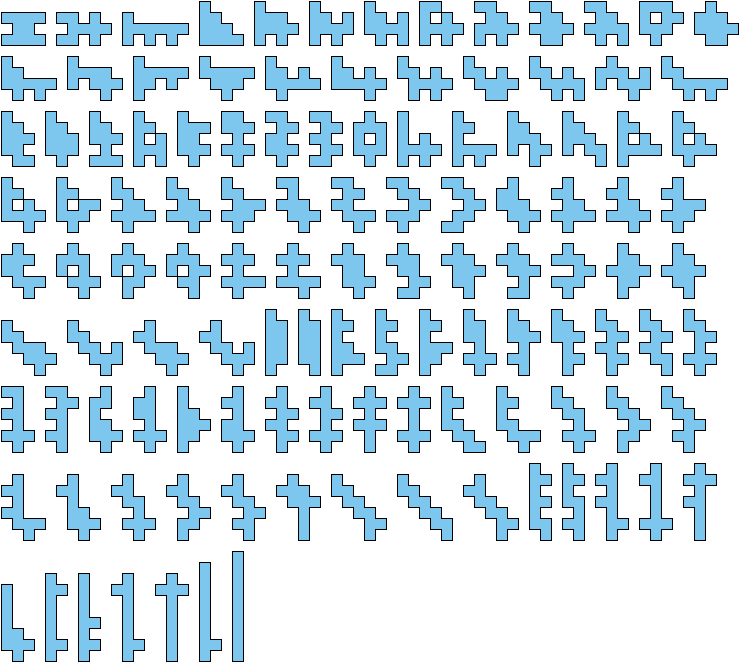 A unitary polyomino is one whose edges all have length 1; see Catalogue of Unitary Polyominoes. An almost unitary polyomino has just one edge of length greater than 1. An almost almost unitary polyomino has just two edges of length greater than 1. See also Catalogue of Unitary Polyominoes and Catalogue of Almost Unitary Polyominoes.